Corporate marketing and corporate communications are topics that have grown in scholarly and practical importance in these last decades. Fields such as branding, marketing communications and public relations have all contributed to this boost. Whilst there is a large amount of literature on each of these disciplines, there is little systematic development from the perspective of corporate marketing and corporate communication studies, although these two have the most to contribute to how companies manage their brands, image and corporate identities in the 21st Century. This book seeks to redress this balance and provide insights, via case studies or histories, on issues such as nation branding, managing multiple corporate identities during merger and acquisitions and establishing a company’s CSR and green image. 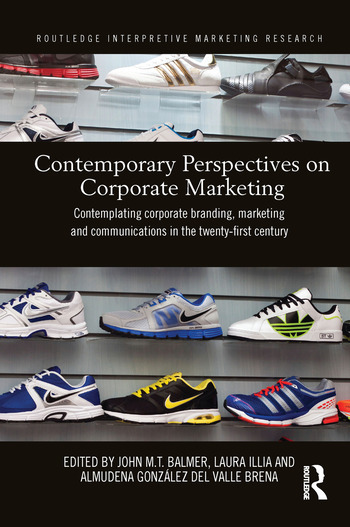 Scholars from various disciplines within the fields of public relations, branding, marketing and corporate identity have come together in Contemporary Perspectives on Corporate Marketing to offer the latest approaches and studies in these areas. As such, it will become a platform for developments in the field and serve as a respected reference resource for corporate marketing and corporate communication studies.